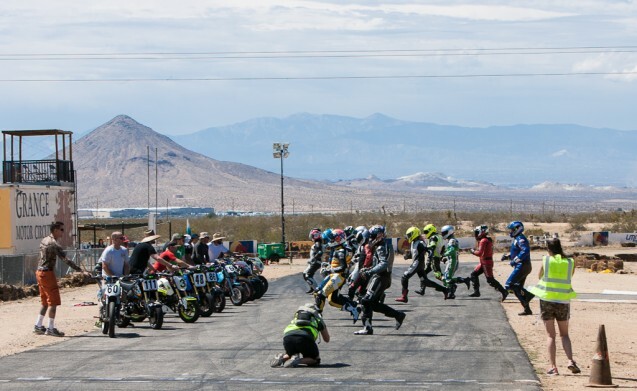 You’d think I would have learned my lesson after being the first to race an electric motorcycle for 24 hours – racing for this long is taxing on both the body and mind. Not to mention the equipment. But that was two years ago, the pain and anguish have been long forgotten, replaced only by the glory of making history and dragging a knee when most people are sleeping. 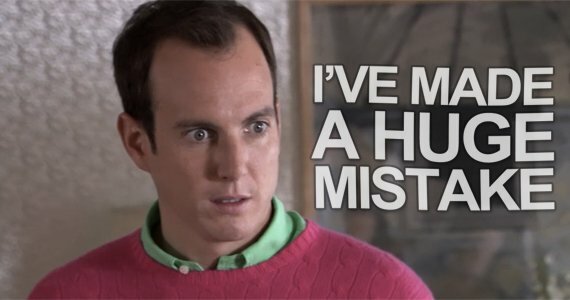 Besides, on that first attempt I was simply a guest on another team. This time, I wanted to make this a true MO effort. Well, that and I wanted an excuse to build a Honda Grom and take it to its limits. The imagination can run wild when it comes to directions to take a Honda Grom. Plenty of ideas ran through my mind when we finally got our Grom, but unfortunately, something like this retro racer wasn’t in the cards. Just like that, the idea of entering the MO crew in a 24-hour race was born. 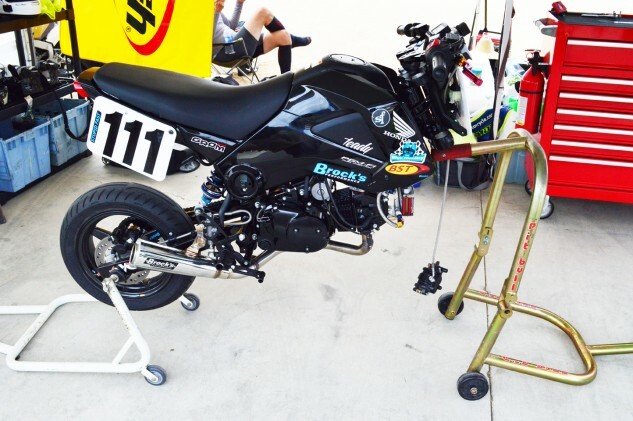 Surprisingly, Honda agreed to kick us down a Grom, knowing full well there was a good chance it wouldn’t return in the same condition they gave it in, and from there we (read, I) had a month to source the massive amount of upgrades we needed, install them, enter the team for the race and, finally, go to battle. Not to mention the other things we have to do to keep MO running. 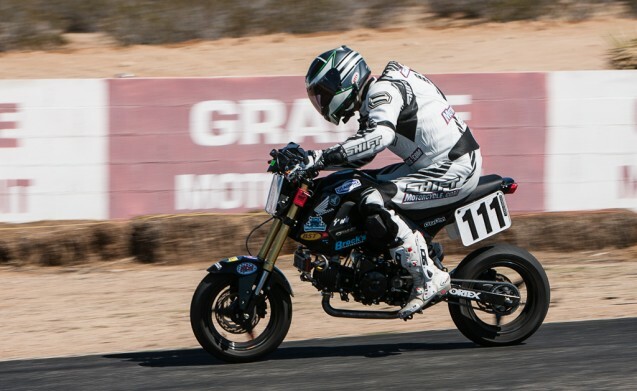 By now you should know all the things we did to the stock Grom, but if not, our Top 10 Grom modifications will bring you up to speed on what we got, and the story of our Grom build will tell you what it was like putting it all together. From there, it was a matter of convincing my cohorts to join me in forming Team MOrons. Luckily for me, Kevin, Sean, Tom and Evans were easy – none of them were lacking for enthusiasm. Grandpa Burns, however, wasn’t so keen on putting his frail bones through the rigors of a 24-hour race, valiantly trying to save face with a “but if you really need me, I’ll come” comment. No need, JB, as five riders was the minimum UMRA required. 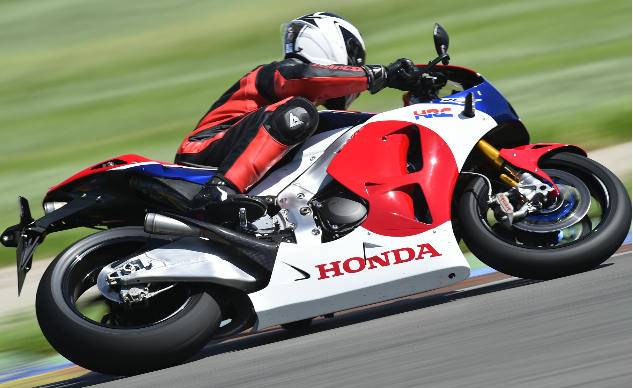 However, as the race drew near Tom got the plumb assignment to attend the press ride for another Honda, the RC213V-S. Maybe you’ve heard of it? Can you believe Tom ditched Team MOrons to ride this? What, you would, too? Oh, nevermind. With Tom jetting off to Spain and Burns hunkered inside his garage bunker churning out the bulk of our massive Sports-Adventure-Touring Shootout, we needed to find a replacement rider who was dependable and quick. Ed Sorbo of Lindemann Engineering was a smart choice. 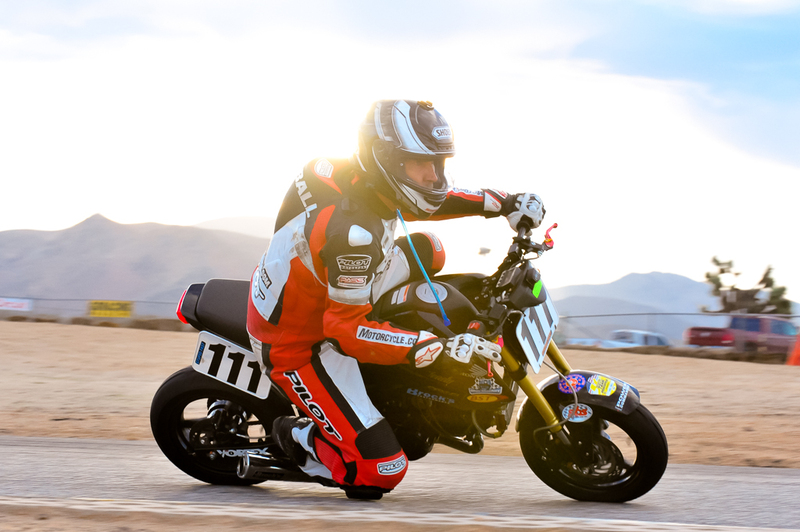 Not only is Ed a suspension genius, but he’s also fast, organized, and a 24-hour veteran, having previously competed in 11 twice-around-the-clock races. The former nationally ranked TZ250 rider was added to our team because of his riding skills, but he would turn out to be invaluable to us in other ways. 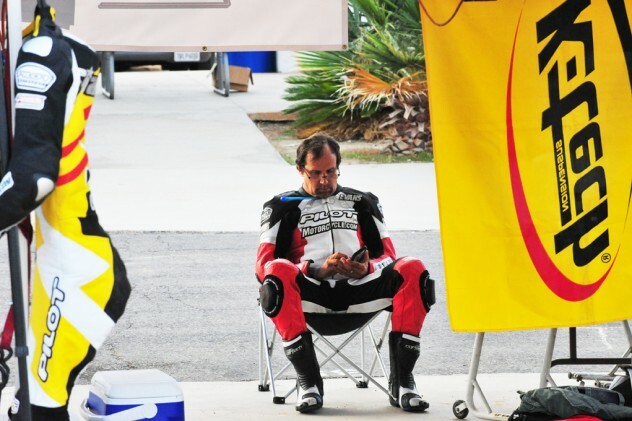 While Ed is a great mechanic, and Evans is a decent wrench spinner, any endurance racing team needs an anchor in the pits who is always ready to handle whatever a racebike needs. That’s where John Ryti comes in. A mechanic by day and diehard motorcycle nut, Ryti is a long-time friend of both Evans and myself since before our magazine days. He replied to a plea for pit help on Facebook, saying he would join us. He’d prove to be an invaluable asset to us as well. The unsung hero of our team, John Ryti volunteered to help us in the pits. When asked how long he would stay for, he replied, “I’m going home when you are.” What a guy! We arrived at Grange Saturday morning, having finished our Grom build, in true club-racer style, only the night before. 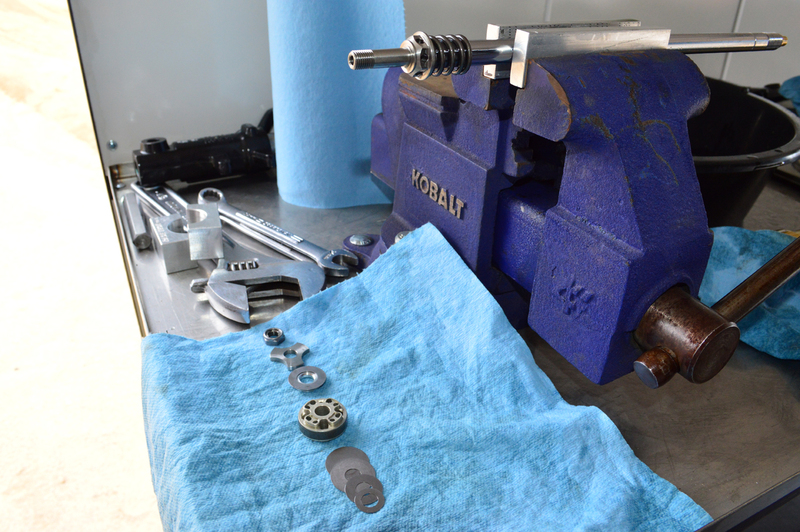 As such, we had exactly zero time testing the myriad of parts we threw at it. That meant morning practice would be important. Having never ridden the Grom or seen the track, Evans went out first. (And let’s not forget that he’d crashed twice in the two weeks prior and had vowed not to make it three-for-three.) He complained of the bike’s handling, but with so many new things thrown at him, Evans didn’t know whether it was him or the bike that needed adjustment. With the axle tightened, Kevin went back out, but his confidence was only marginally improved. It was a sentiment shared by the whole team. The front end had a tendency to fold, like it was about to wash out from underneath you, and its unpredictable nature meant there was no telling when it would happen. It didn’t help that, as explained in the bike build story, our fork was bent from a testing crash with the stock Grom, forcing us to use the stock fork springs instead of the stronger K-Tech units. If that wasn’t enough, the matter was made worse with our JRi shock, which was jacked to its highest ride height setting, limiting much needed trail that would help settle the front end. Even in its lowest setting, however, we discovered our shock was still slightly longer center-to-center than the stock unit. After practice, we pulled the fork to discover a limited amount of oil. Looking back, during the build we had added the recommended amount of fork oil from K-Tech, under the assumption the bike was running the appropriate springs from the kit, not the stock, much weaker units. Without a lot of time before the start of the race, more fork oil was added and the forks were re-installed. Just in time for me to take the Le-Mans-style start. This wouldn’t be the last time our Grom had its forks removed. Without any clue as to how the bike would perform with more fork oil, when the green flag dropped, I ran to the bike and pressed the starter, but I couldn’t hear if the bike was running! The commotion going on around me from other teams starting their loud bikes drowned out our Grom, so I clicked first gear, released the clutch and assumed the bike was on (it was). I had reached the first turn in third position, but as soon as I tipped the bike over, it was clear we still had big problems. The front was still folding, and no matter how I tried to adapt my riding style, there was no riding around this. I was riding slower than on the stock Grom we tested only a few weeks prior. If we can’t all drag our elbows like Marc Marquez, the Le-Mans-style start allowed participants to try another feat MM93 excels at: sprinting in full leathers. Knowing anything can happen during a race this long, I stuck to the plan laid down from Ed: Keep riding unless you’re called in. So, I kept circulating for the next hour, hoping for the PIT signal on our board with each successive lap. When it finally came, I breathed a sigh of relief, as riding that unpredictable beast for an hour beat me up more than I could have imagined. At one point in the race Team MOrons ran as high as third place. Of course, that was 30 seconds after the start. The race was only a few hours old, but by now each of us was convinced that one of us would end up on the ground sooner rather than later. It was a dire situation, and there was serious thought of packing our things, heading home and regrouping another weekend, but of the many things Team MOrons have been called, quitters is not one of them. That’s when Ed had an idea. He’d attempt to rebuild the fork, piece by piece, to see if it was at all possible to salvage a rideable motorcycle and finish out the task we had set out for ourselves. The only problem was he didn’t bring the specialty tools he normally has available to him at his Lindemann Engineering shop in Redlands, California, most important of which at this time was his torch to release the thread-locking agent used to keep the fork lowers in place. Without it, there was no point going forward. 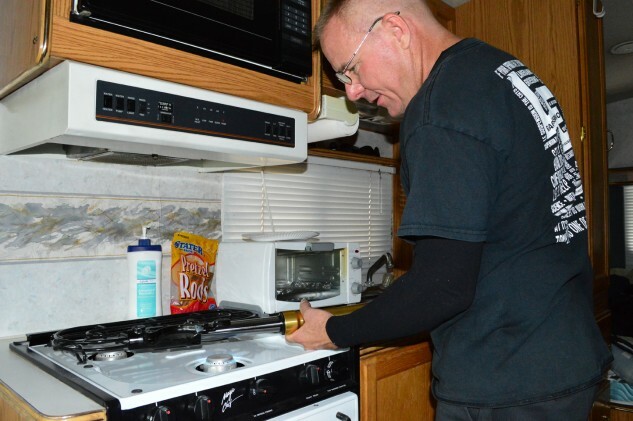 What Ed did have, however, was his trusty RV and the propane stove inside it. Problem solved. When you don’t have the right tools for the job, you make the tools you’ve got work for you. Here’s Ed Sorbo demonstrating exactly that. With the lowers now removed, Ed went to work taking the fork apart. He knew we’d retained the weak stock springs instead of the stronger K-Tech units because of the bent fork (which he couldn’t fix trackside) and was thinking of any possible workaround. Sorbo took a closer look at the compression stack and removed one shim to turn the compression stack from a progressive stack into a much stronger linear stack. While we were at it, he refilled the fork with heavier 10-weight oil (from 5w) for additional damping control – especially for the rebound side – Ed said was needed. We slapped everything back together again, and I was the monkey in charge of seeing if it worked. Local time: 6:22pm. Total time in the pits: 1 hour, 25 minutes, 22 seconds. Number of laps behind the leader: 101. But at least we were still in the race. The result was a much more rideable motorcycle, still showing signs of instability, though not nearly as bad as before. Ed surmised that, since we were in dire need of more trail, we should put the stock shock back on the bike, giving us that desired trail and balanced spring rates, too. With the fork disassembled, here we have the compression piston assembly. At the bottom of the towel is the shim stack. By changing the thickness, diameter and order of the shims, one can control the amount of oil that can pass through the piston. Sorbo removed a smaller diameter shim wedged between two larger ones, turning the compression stack from a progressive stack to a linear (and stronger) one. It sounds ridiculous to celebrate reverting back to stock Grom components as being a victory, but in our unique set of circumstances, it was. At least now we could get back to the task of just racing a motorcycle. Good thing, too, because all that time we spent fretting about the handling we could now focus on praising its engine. Yeah, the dyno says our engine lost midrange compared to stock, but she was a real ripper up top – where it matters on track. Only the class-winning Grom could pull on us. Barely. And it was running race gas and who knows what else. 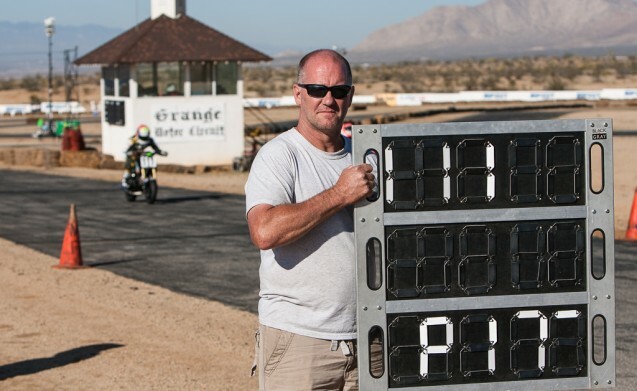 Big Sean approves of the changes, though the 187-pound motorcycle likely isn’t thrilled to be pulling along a 260-pound rider. Riding in the wee-hours of the night is a strange experience. It’s peaceful and calming, and many riders, the author included, tend to set their best times under moonlight (or floodlights in this case). Deep down you know you should be in bed, but instead a calm focus takes over. Hugely satisfying. Riding in the cool night breeze of the graveyard shift, Kevin’s first, he noted how it felt bizarre to be racing in the middle of the night. “Isn’t it beer-30 yet?” he wrote. Nonetheless, he ran consistent 1:16 lap times, with a few 1:15s thrown in. Our best to that point was a low 1:15, so Kevin was keeping pace. One of the benefits of night riding is not having the sun beat down on you, and Duke noticed the difference, even at 3am, saying that he could have continued riding for another 30 minutes. The sounds of exhausts roaring down a racetrack isn’t conducive to a good night’s sleep, but after getting three hours of snooze time in, I was back on the bike for the 4am shift. Feeling relatively refreshed, my first lap back on the bike was met with several missed shifts. Frustrated, I looked down to discover the shift nub on the lever was rattling loose, despite liberal amounts of thread lock during assembly – that’s how much the Grom’s Single vibrates. If you look back at the build story, you’ll remember the criticism we had with the Woodcraft rearsets was the plate on the shifter that attaches the shift nub. Hopefully you caught on to that bit of foreshadowing, as the 4am pit crew consisted of Evans, Ryti, Duke and myself. Thankfully everyone stayed calm, and Ryti jumped to action, grabbing the appropriate allen keys and tightening the shifter with a hefty dose of Loctite applied. As if delivered down to us from the heavens, Brasfield spins another lap as the new day begins, umbilical cord to his water bladder underneath his leathers dangling in the open air. After that bit of morning drama, I knew this would be my best chance for quick laps before the sun beat down on us again, and being so far down in the standings, I decided to simply race the track, focusing on relaxation and hitting my marks, time after time. It worked, as I steadily saw the numbers on the lap timer getting smaller, eventually leading to a flashing 1:14.4 on the timer – the team’s fastest time yet! Come the 5am shift, a groggy Duke hopped on the Grom. Not one for early mornings, “I was feeling tired and not altogether sharp,” he noted. “I don’t think I even got into the 15s this time around.” The hour came and went, and no sooner had he come in did Kevin head for the makeshift bed in the back of Brasfield’s Tacoma. With the luxury of a full night’s sleep to his credit, Ed got up to speed quickly Sunday morning, claiming the team’s fastest time up to that point and pumping out consistent fast laps. Meanwhile, as the sun began to rise, we wondered when we’d see Ed emerge from his RV. He’d gone to bed at 11pm the night before, and slept right through the night! The other four guys handled riding duties until Ed awoke from his slumber and hopped on the Grom at 9am. Feeling the most rejuvenated of our group, Ed’s speed and consistency were starting to show. He quickly made his way to the 1:14 time zone and eventually eclipsed my 1:14.4 with a 1:14.2. While a few other teams were dropping out with mechanical troubles, Team MOrons were clawing back. There was obviously no way we’d recover the 100-plus laps we were behind the leader, but at least we weren’t the last-place bike still running. Riding like a man possessed, Duke pulled out all the stops en route to the checkered flag. “There’s a lot of responsibility for being in the ‘hammer’ position on a team race, and I felt it as I grabbed the Grom from Sean for our final session of the race. John Ryti, our invaluable team support member, dumped enough fuel in the tank to take me to the race’s end at noon. The nap and a fresh cup of Batdorf & Bronson coffee (thanks, Evans!) had me amped to close the race on a high note. We had battled immense adversity, and now it was time to prove the strength of our team’s effort. The first rule of endurance racing is to not crash, so I began my charge steadily. A couple of 1:17 laps were followed by several 16s then 15s. I was stringing together the two new shift points Sean had recommended and had also picked up extra corner speed in the fast Turn 11 sweeper, and I could see my lap times getting quicker. Soon I was doing consistent 1:15s and knocking on the door of 14s. I was in the zone at this point and continued to find tenths to trim from my lap time. I could see Ryti urging me on as I flew by the pits, making me think we were in a close fight with another team. The lap timer was also encouraging me, as I was now running in the low 1:14s. I was having a righteous good time, running laps at a pace I wished I was running 23 hours earlier. I even saw a 1:14.0 one lap, and Ryti continued to cheer me on as the 24-hour mark approached. Needless to say, Duke’s last-lap miracle shocked and awed all of us. In the end, however, there was no fight for position. We finished in ninth position, having completed 968 laps, five laps behind the next team and a whopping 143 laps behind the race winner, TTR Maniacs, aboard their modified Yamaha TTR125. 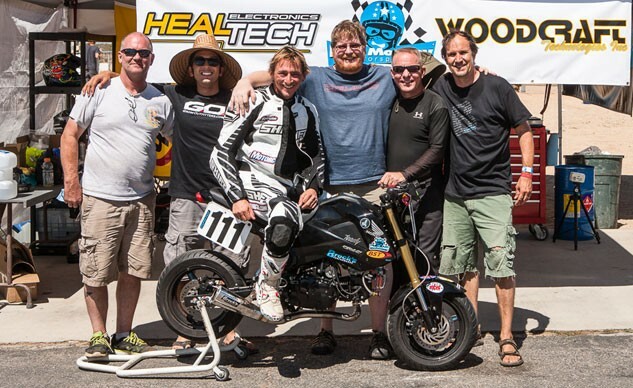 Impressively, taking the second spot on the overall podium, was the Honda Grom team from Steady Garage, who supplied us with a bunch of parts for our bike. Their team, dubbed Top Gromen, was only six laps behind the race winner. From thoughts of winning the race to simply hoping to bring it home, we experienced a whole range of emotions over the course of 24 hours. We learned a ton and fought through enormous adversity, and to that we should be proud. 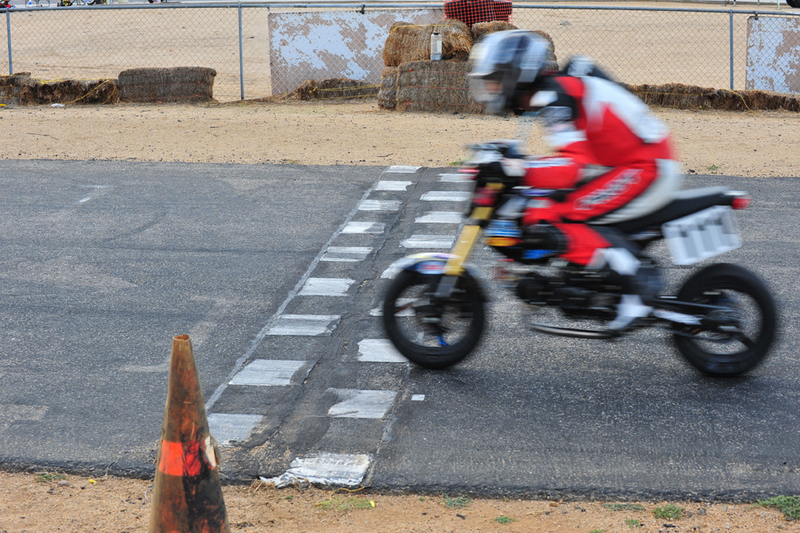 However, this isn’t the last time our Honda Grom will cross a finish line. Another big surprise were the Michelin Power Pure SC tires. 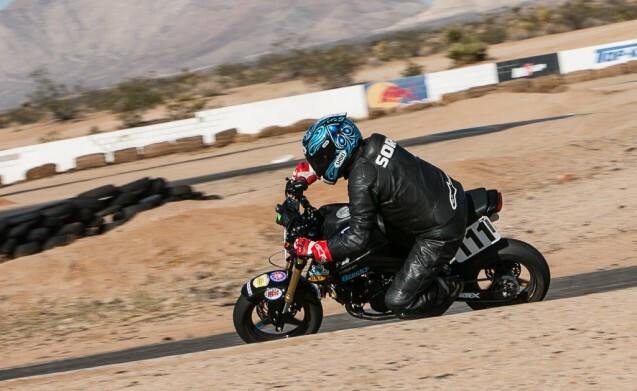 Claimed to be the world’s first dual-compound scooter tire, they held up remarkably well to the punishment of a 24-hour race. 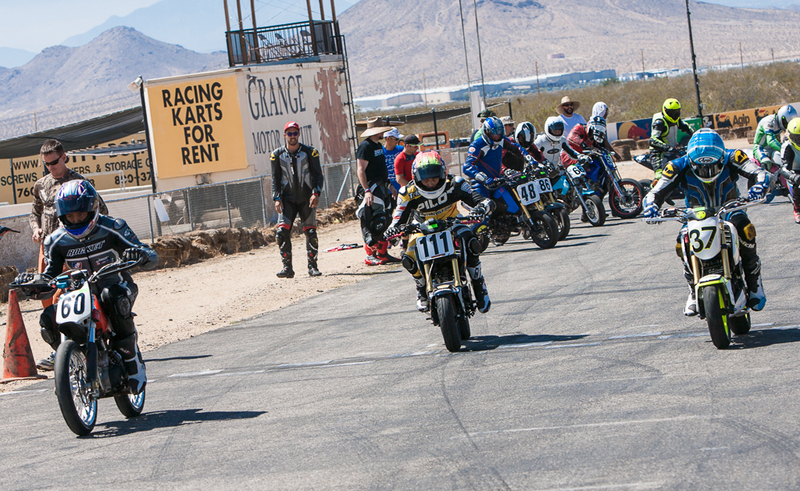 We didn’t change tires a single time during the event (which couldn’t be said for other Grom teams running different rubber) and never felt a reason to, as the grip remained consistent throughout, as evidenced by Kevin’s last lap heroics. Heck, we wouldn’t hesitate to use these same tires for another 24-hour race! In true racer spirit, we arrived at Grange Saturday morning with high hopes and expectations. Having failed to achieve those expectations, and with the litany of problems we faced during the race, all of us were proud of the fact we soldiered on and finished. 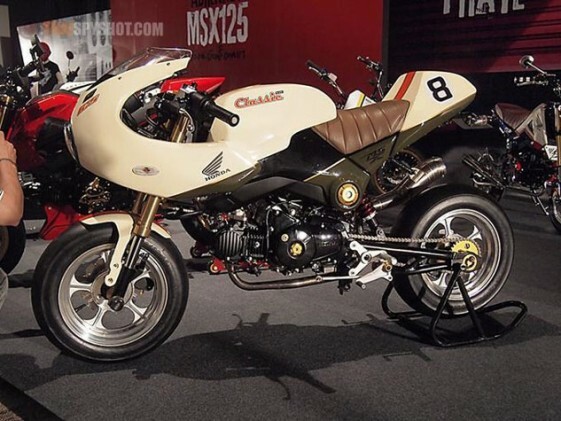 However, this leaves us with a bit of unfinished business – How much better would our Grom be with everything sorted? 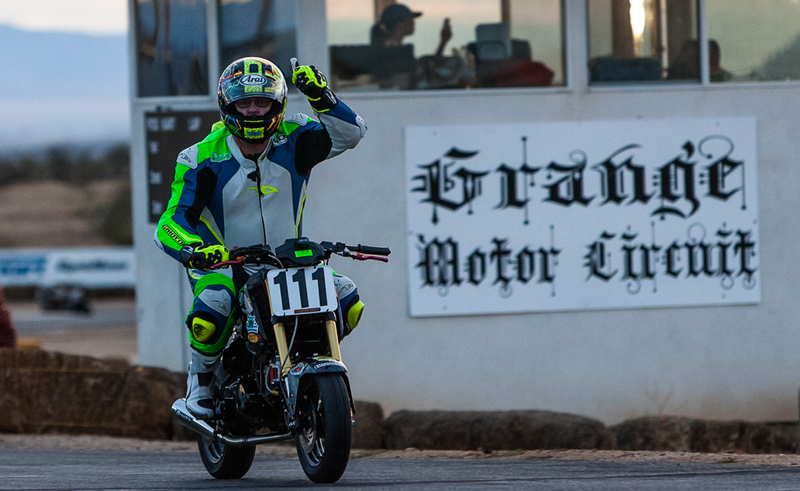 And so, our Grom story doesn’t end here. We’ve got more in store for our project bike, and we’re not going to rest until we get it right. Stay tuned. We’ve been fortunate to receive support from several top businesses and the people behind them, including Steady Garage, Blue Monkey Motorsports, Woodcraft Technologies, Spiegler, JRi shocks, K-Tech suspension, Lindemann Engineering, Will Kenefick of Motorcycle Service Centers LLC., Chris Redpath at MotoGP Werks, and Brock’s Performance. They deserve major thanks for the immense help and assistance they gave to this project.